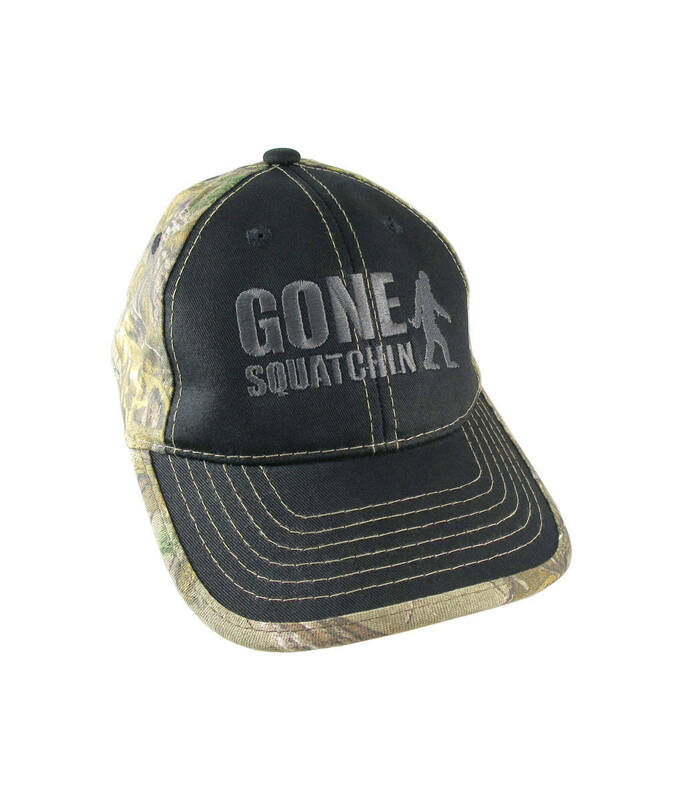 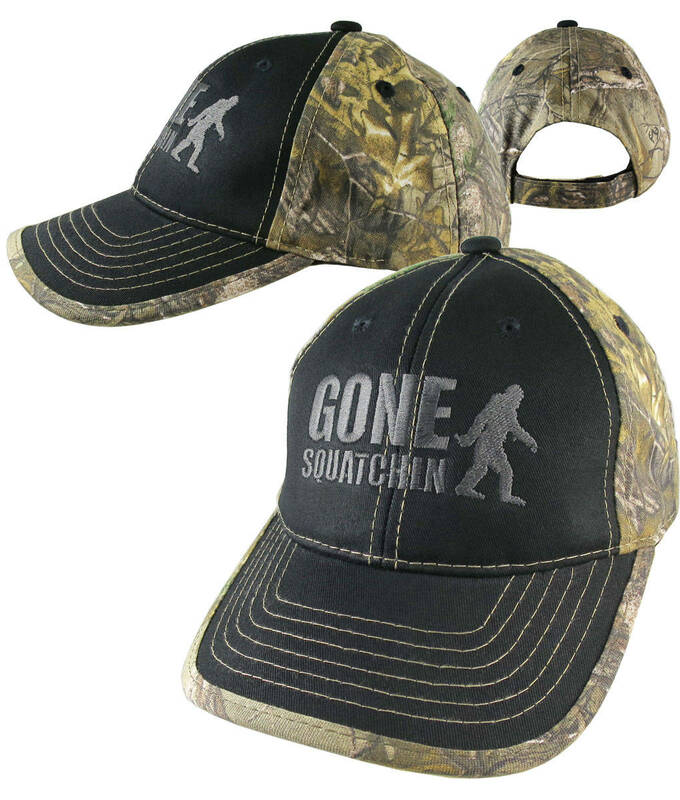 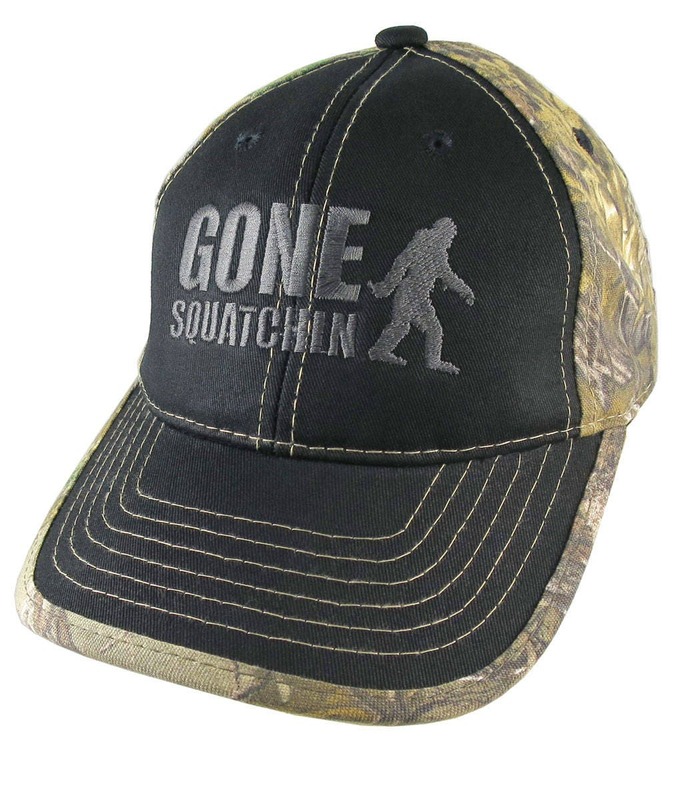 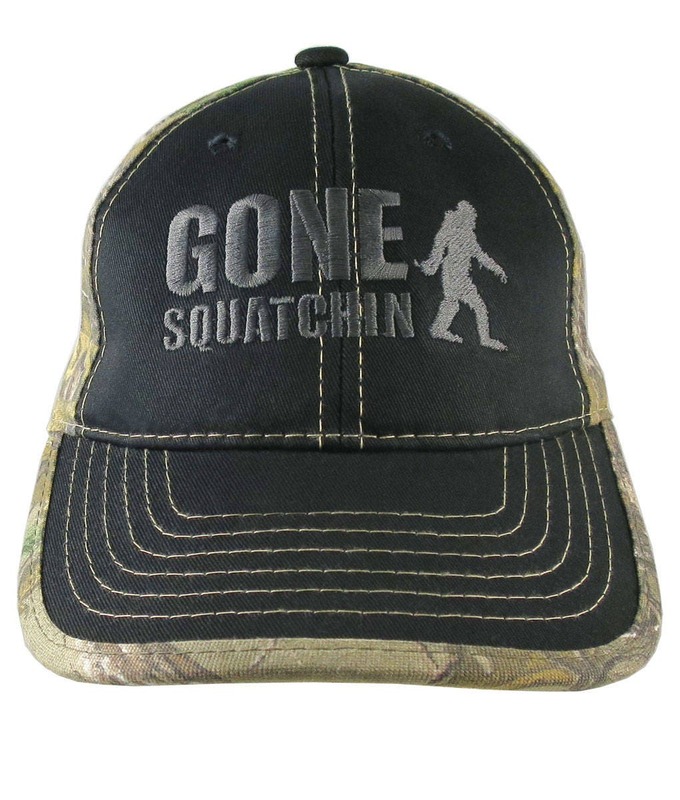 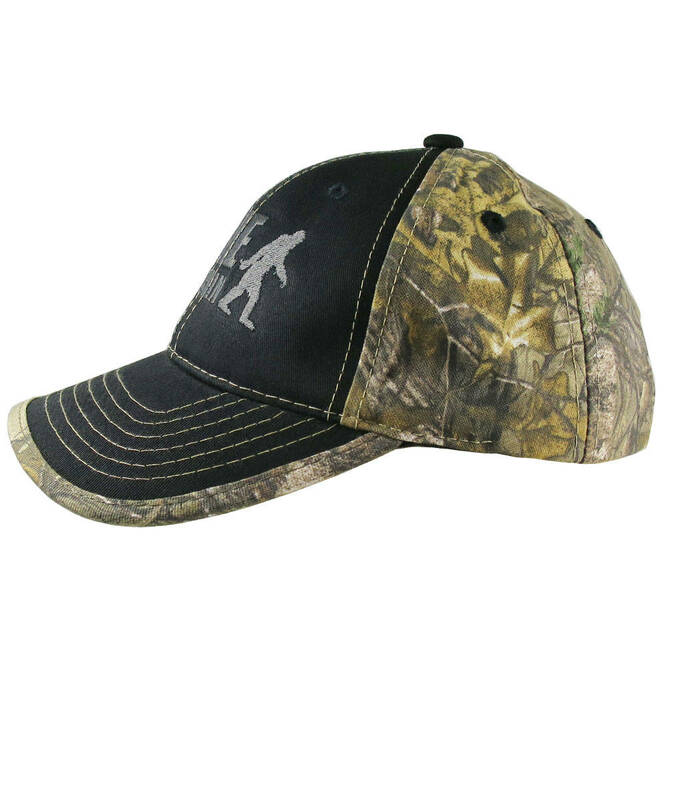 “Gone Squatchin”; the iconic Sasquatch Bigfoot black silhouette gone squatchin' out on the trails. 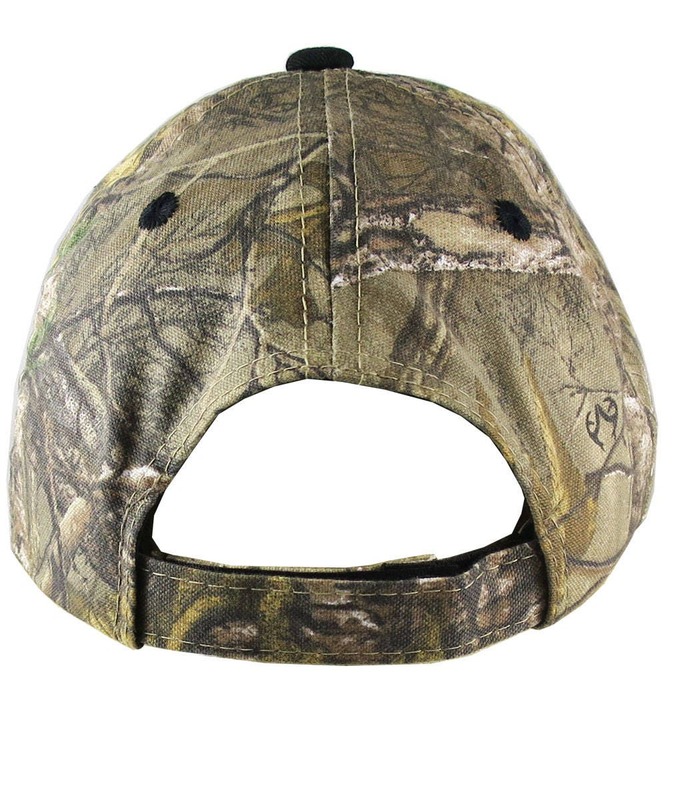 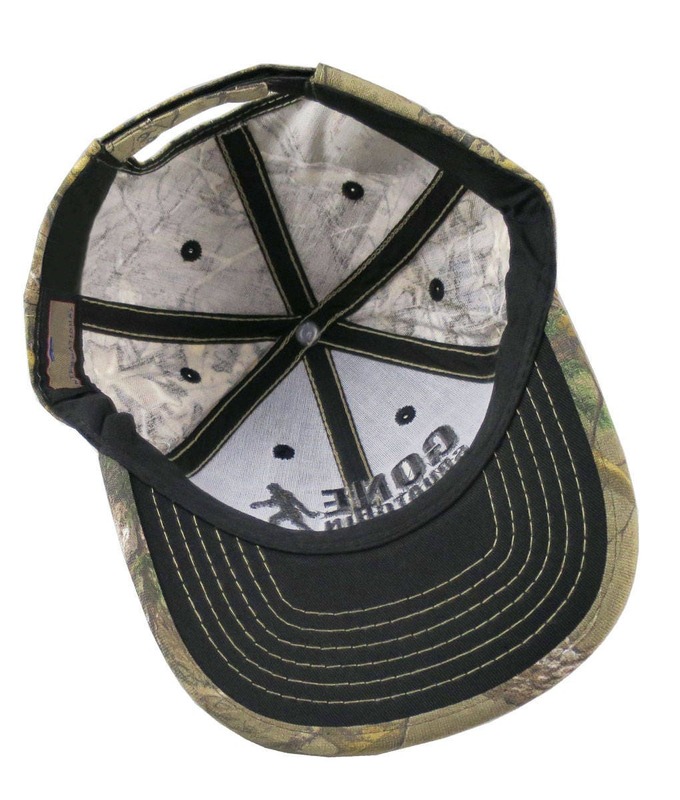 A deep charcoal almost black embroidery decor on a black and khaki green "Real Tree" style camouflage structured adjustable baseball cap. 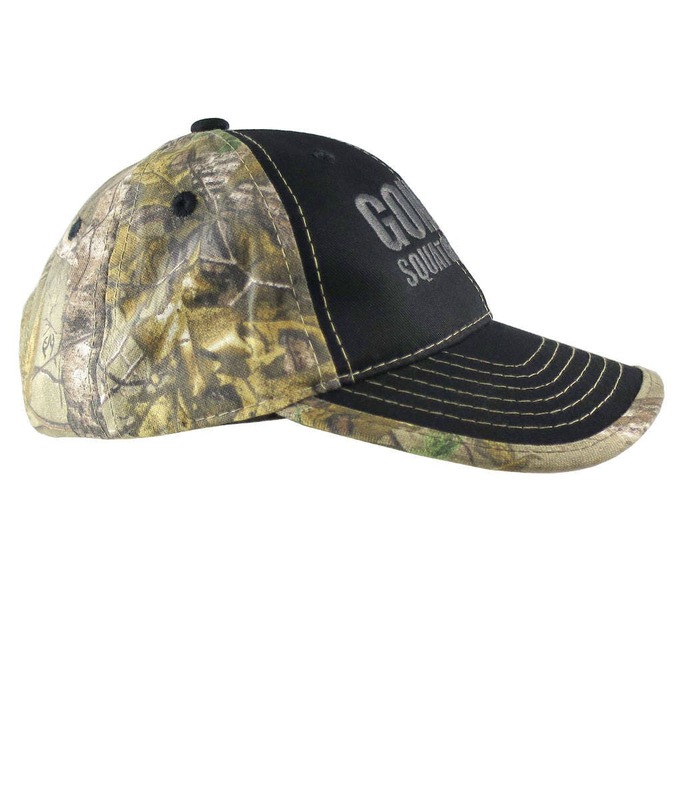 A black on black fashion statement. 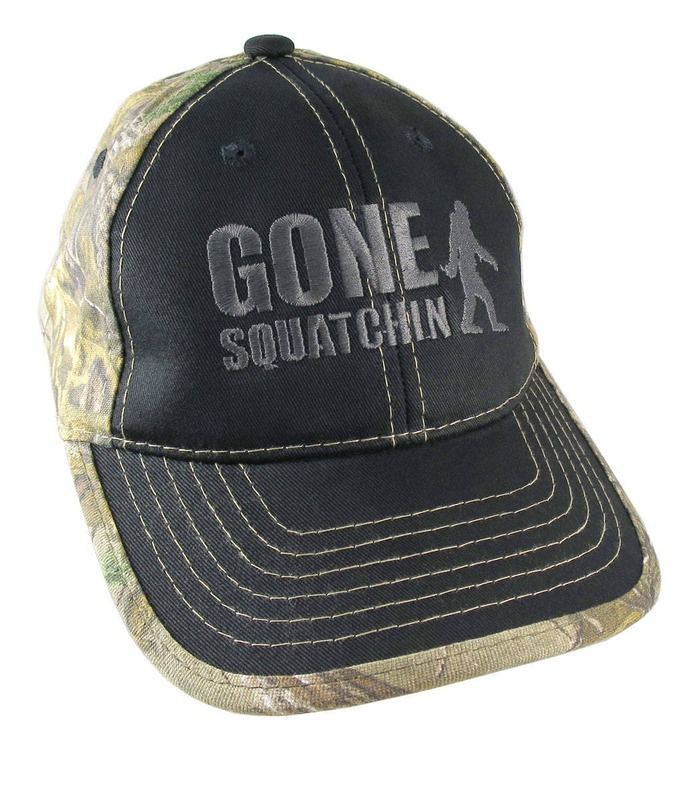 A great gift idea for anyone hiking of the wild side.